High-yield corporate bond issuance and trading have slowed considerably in the face of uncertainty about Federal Reserve monetary policy, at a time when chairman Ben Bernanke is about to hand over the reins to Janet Yellen, who is currently vice chair of the board of governors of the Federal Reserve System. 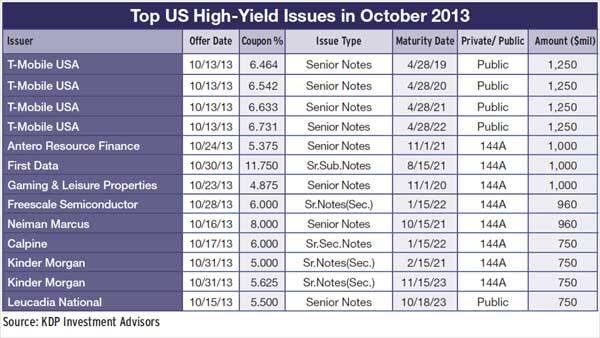 US high-yield debt issuance totaled $26.3 billion in October, well below the record $46.5 billion set in September, according to KDP Investment Advisors. Trading activity has also dried up, in part because of higher bank capital requirements set by the Basel Committee on Banking Supervision. 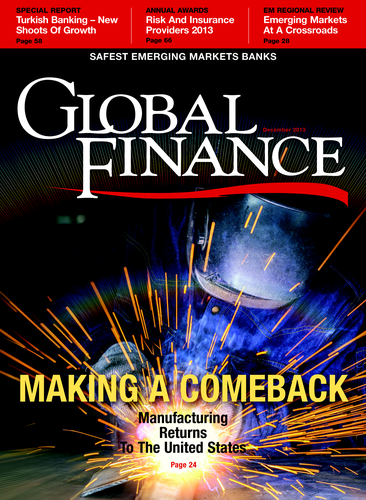 The impact of the US government shutdown and short-term extension of the debt ceiling has complicated policymaking for the Fed by disrupting data and data releases and creating a greater level of uncertainty about the near-term path of the economy, says John Stopford, co-head of Investec Asset Management’s global multi-asset team. In the near term, Investec expects 10-year Treasury yields to stay mainly in a 2.5% to 3% range. “The direction of yields over time, however, should be a gradually rising trend as the US economy moves closer to full employment,” Stopford says. This assumes that the Federal Open Market Committee (FOMC) is heading toward an eventual neutral level for the federal funds rate of about 4%. Stopford adds that some of the more dovish members of the committee doubt the rate will get much above 3%, even in the long term. The FOMC may consider it prudent to delay tapering further until the economic picture is clearer, Stopford says. “This, in turn, would weigh on expectations of the likely path of future interest-rate changes and help Treasuries to rally toward the lower end of their likely range,” he says. European high-yield debt issuance more than doubled in the first nine months of this year, compared with the same period a year earlier, setting a record of $107 billion, according to Thomson Reuters. 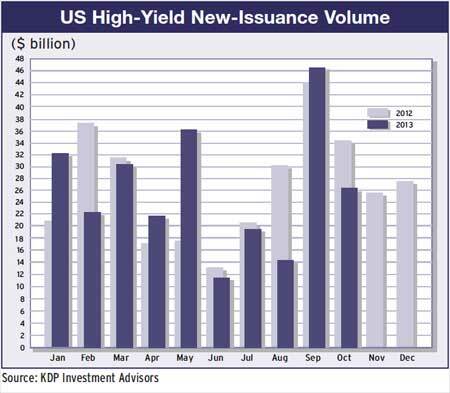 UK and German issuers together accounted for more than one-third of the total. Deutsche Telekom, which controls T-Mobile USA, issued $5.6 billion of senior notes in a five-part offering in the US public market in October. The debt sold is part of an $11.2 billion private placement of notes that T-Mobile issued to Deutsche Telekom earlier this year as part of its merger with MetroPCS Communications.